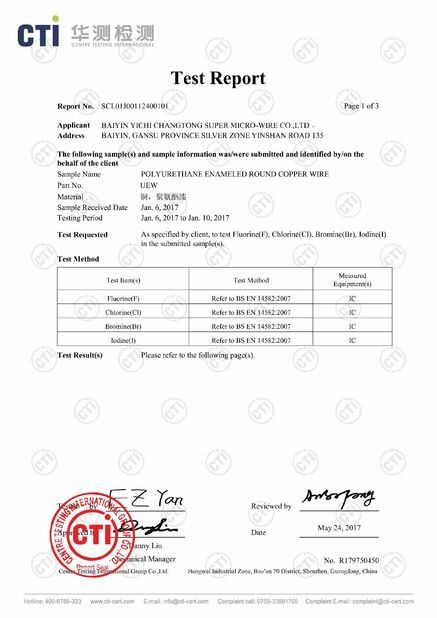 We produced and delivered corresponding to the industry standards IEC 60317-51, JIS C3202,NEMA, MW82-C or to customer specific requirements. 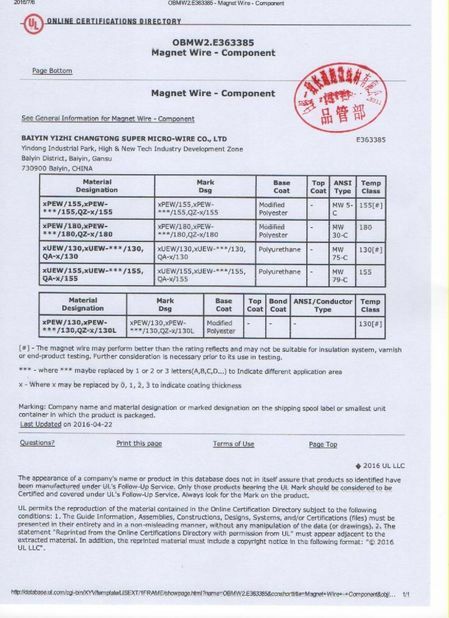 Besides enamelled copper wire we also produce enamelled wire made from many other metal as well as selfboding wire and litz wire. 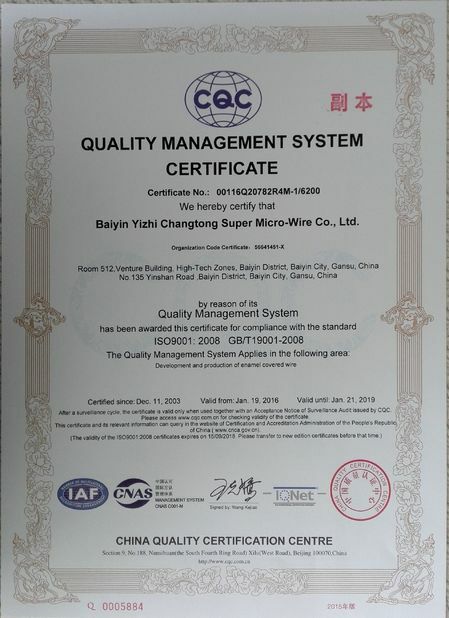 We established sane quanlity inspection systems: Incoming inspection, process quanlity control, whole process monitoring supervision, inspection before storage and inspection before deliery. 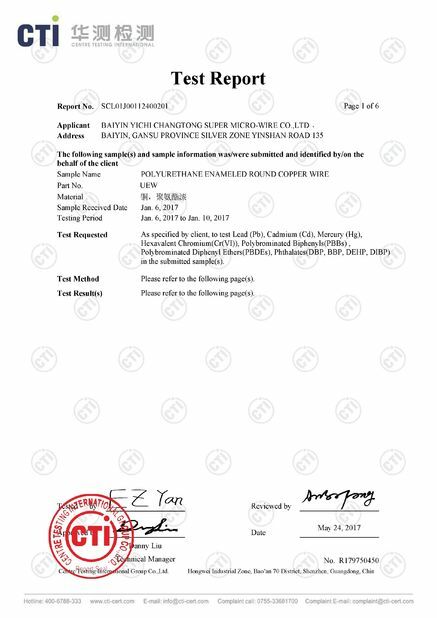 All these to guarantee excellent quanlity. 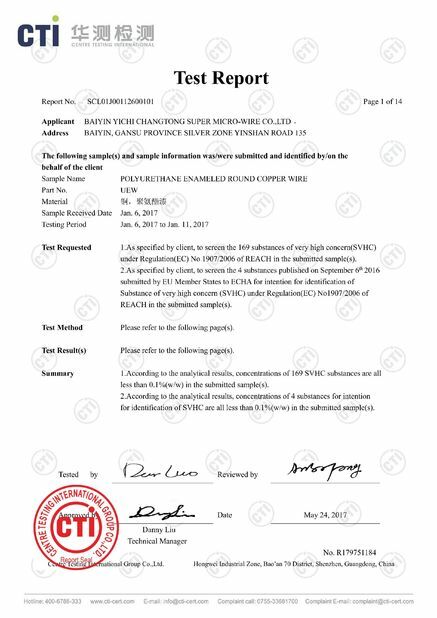 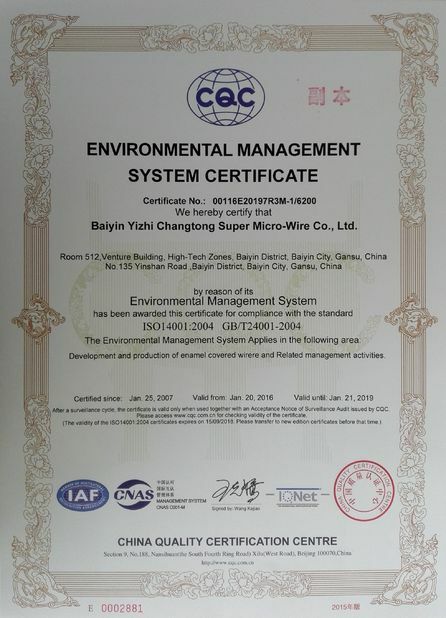 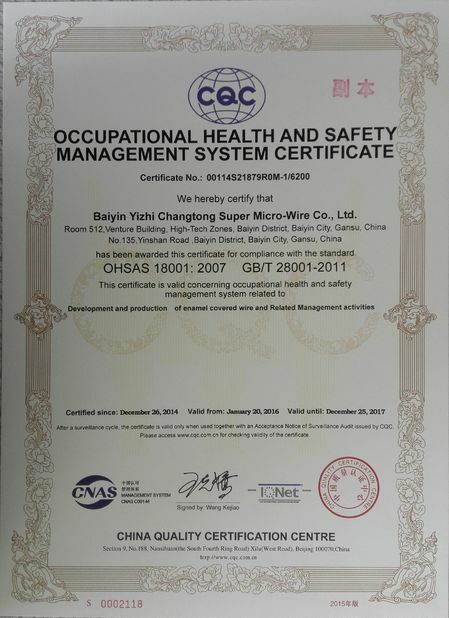 And Our quality has been confirmed byexternal auditors repeatedly in numerous certificates, please check our certificates.